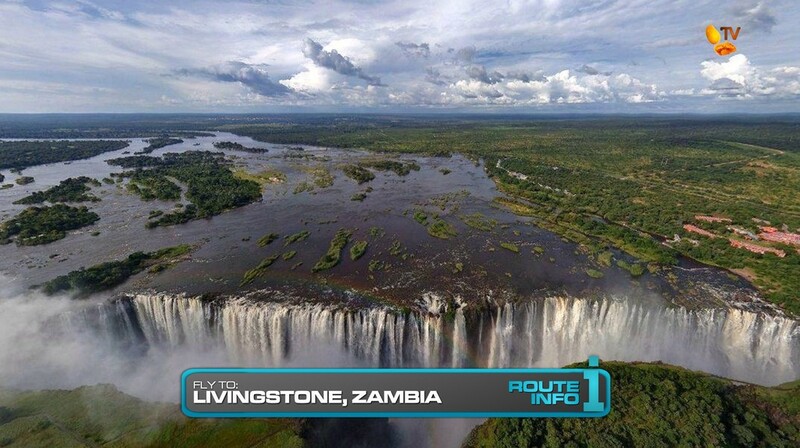 It’s time for the 8th Leg of The Amazing Race Philippines and teams must now fly to Livingstone, Zambia. To get there, teams will first fly to Nairobi, Kenya. 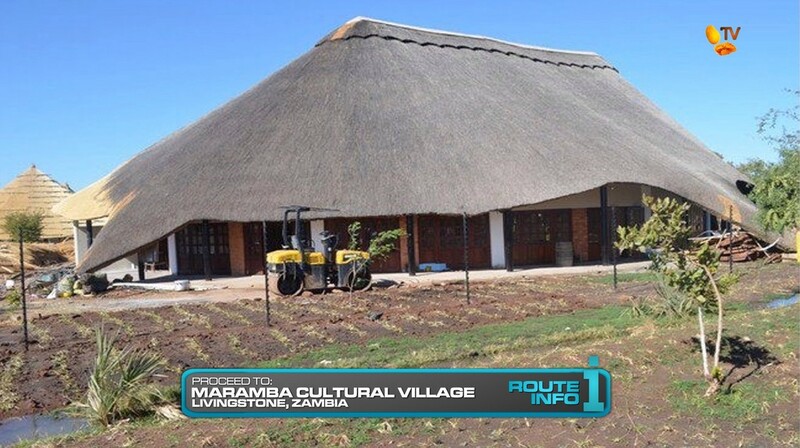 Arriving in Livingstone at 2:30pm, teams will choose one of the brand new 2016 all-wheel drive Kia Sorentos and drive themselves to Knife’s Edge at Victoria Falls. 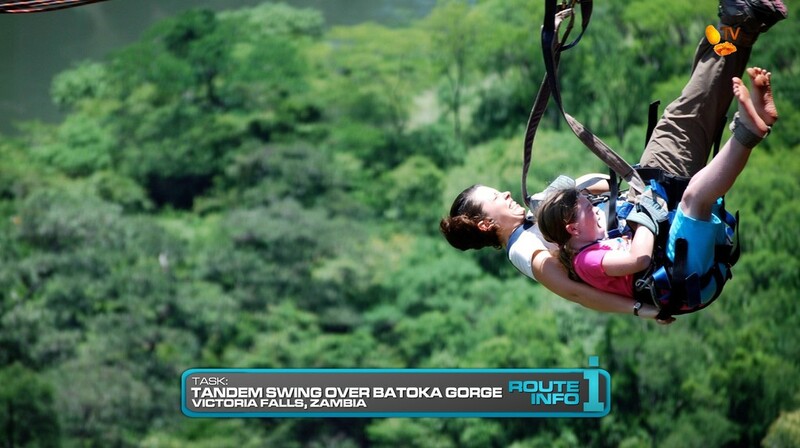 Their next clue tells teams they will experience one of the very first challenges from the very first episode of The Amazing Race: a zipline across Batoka Gorge, followed by a tandem gorge swing to the bottom. After the thrilling challenge, teams will open the next clue revealing the Road Block: Who isn’t too shy? 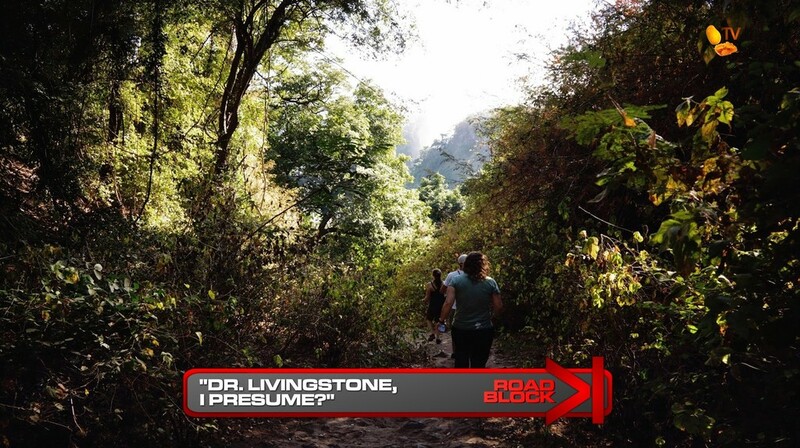 For this Road Block, teams will hike down the canyon to the Boiling Pot along the Zambezi River to find the famous David Livingstone. Seeing similarly dressed men along the way, the team member performing the Road Block must ask them “Dr. Livingstone, I presume?” to illicit any kind of response, affirmative or negative, that he is indeed the man they are looking for. If they’ve found the one true David Livingstone, they will be given the next clue. 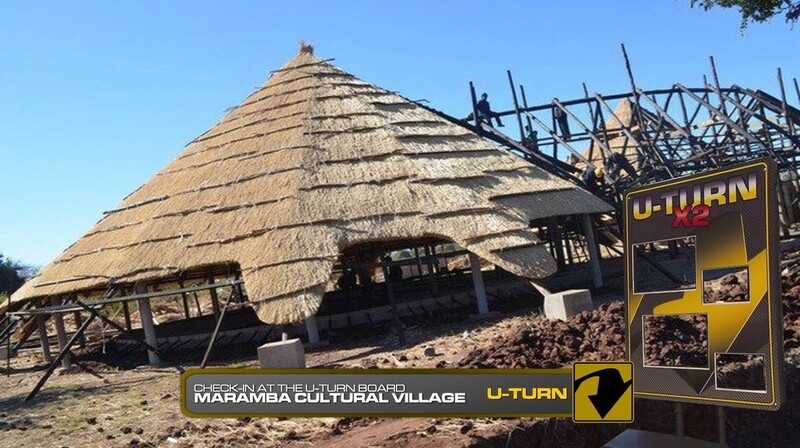 That next clue points teams to the Maramba Cultural Village. But, HOURS OF OPERATION! The museum closes at 4pm and it is now well past. So teams will need to camp out until the museum opens at 7am the next morning. After their overnight camp out, teams will be able to obtain the next clue which reveals the Detour: Join the Dance or Only One Chance. 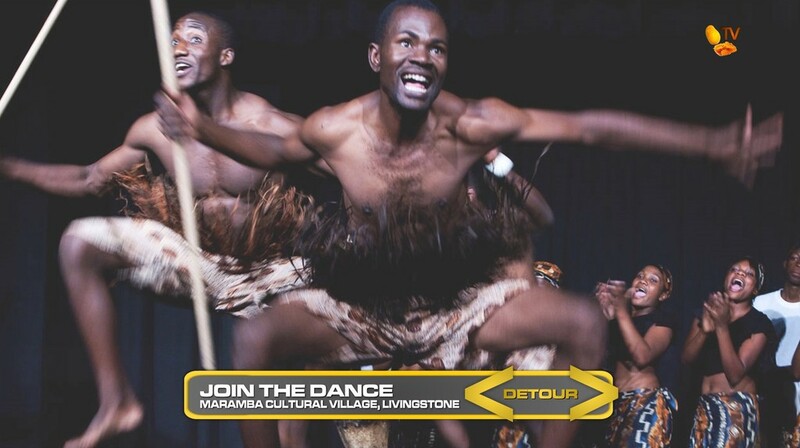 In Join the Dance, teams must dress up, learn a traditional Zambian dance and perform it with a group of dancers to receive their next clue. In Only One Chance, teams must choose a mask and search amongst dozens of dancers, including the ones practicing and performing with other teams, for the one wearing a mask that matches. Many masks are similar with only small differences in detail. So if teams bring back the wrong dancer to the judge, they will need to choose another mask and start over again. If teams bring back the correct dancer, they will receive the next clue telling them to find the Double U-Turn board outside the museum. After checking in at the U-Turn, teams will find the next clue. And that clue tells teams THEY ARE STILL RACING!!! This is a Super Leg and teams must now figure out how to get to Antananarivo, Madagascar. Crazy Leg! And it isn’t even over yet! So, this Pit Stop-less Leg was partly inspired by the original Double/TBC Legs, but also out of necessity because once again, the logistics are a little troublesome. Getting into Livingstone in the afternoon doesn’t allow for the entire Leg to be done before nightfall. And none of the tasks are really well suited for after dark. So Hours of Operation it is. Because of that, this really was a pre-determined Non-Elimination Leg. 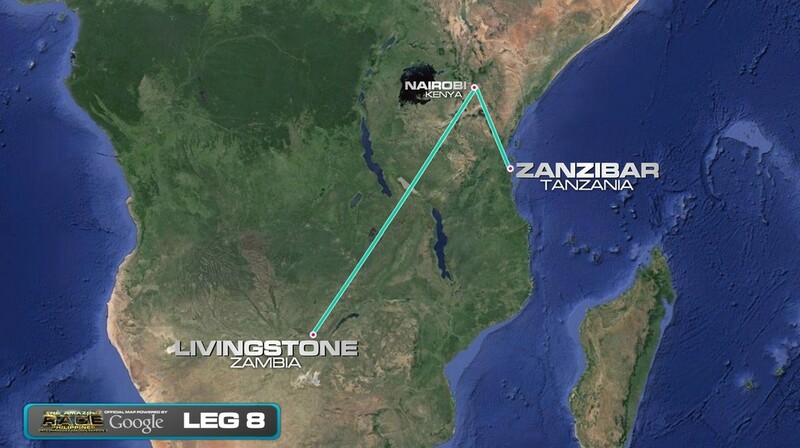 But seeing the flights needed to get from Livingstone to Antananarivo necessitated having a zero-hour Pit Stop so teams can actually catch those flights (which are kinda limited). Anyway, back to this Leg first. 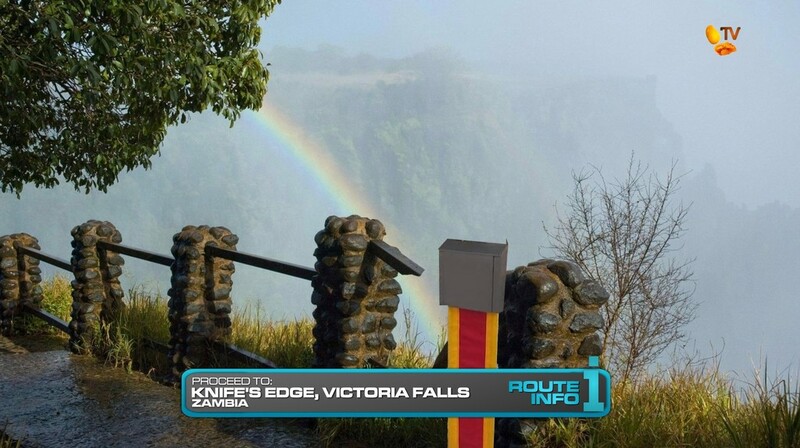 Putting together this “African Adventure” season (and of course keeping the visa-free countries in mind), visiting Victoria Falls was a must and a nice callback to the very first episode of TAR ever. 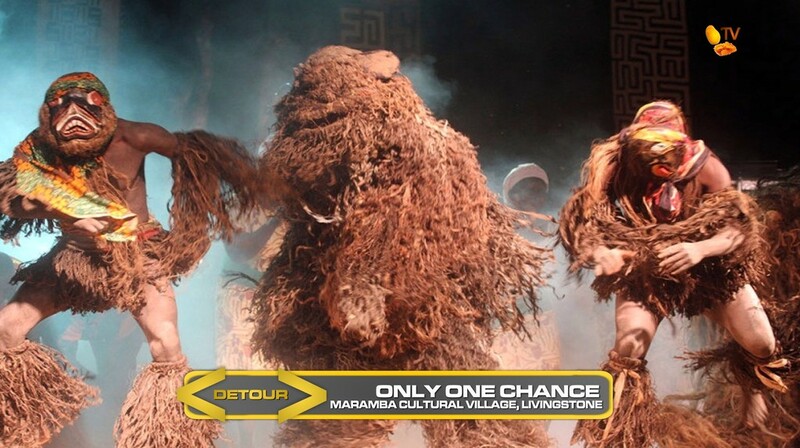 The Detour is pretty straightforward and I think it would be nice to add that little craziness of teams doing the mask Detour actually having to go over and bother the teams doing the dance Detour. Best case scenario: total chaos! Also a good spot for a U-Turn. And the decision to go with no Pit Stop should be a nice way to throw teams off a little bit and actually make this a true SuperDoubleTBCLeg. And that also means since there is technically no Pit Stop, there will be no prize for this Leg. Which is different from Legs where teams actually do step on the Mat. At which time, first place teams absolutely deserve a Leg prize.